Based in Richhill, just off the main Armagh and Portadown Road, RMC Electronics has been repairing vehicle electronic equipment for over 30 years. As a well established business, we are fully equipped to professionally diagnose and repair all makes and models of vehicle electronic clusters, modules and key fobs. 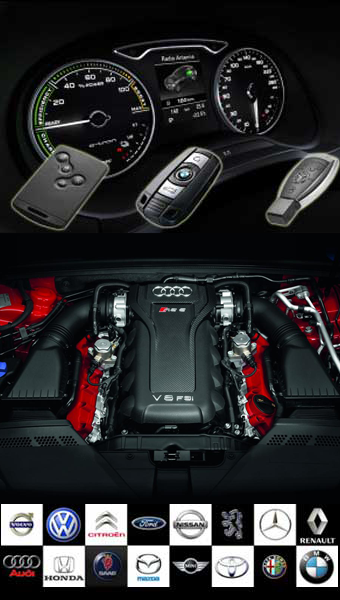 For more information, please choose from Key Fob Repair or Vehicle Instrument Cluster Repairs. We repair vehicle key fobs as well as electronics for all makes of cars and vans, check with us before you replace your unit, it could save you money. We've been repairing vehicle electronics for over 30 years, if you have a problem with your vehicle electronics, we can help. Whatever your vehicle key fob or electronics requirements are we can help you save money, have your unit repaired before you buy a new one.